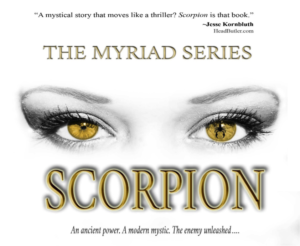 Cindy has completed BOOK ONE, Scorpion from The Myriad Series and it can be pre-ordered from the following online vendors: Amazon, Indigo and Barnes & Noble. The day began as another for Avery. The disillusioned and beautiful daughter of one of New York’s wealthiest and most powerful men, without a hint that she was about to tumble into a bizarre and mysterious series of events which would forever change her identity. Tired of New York City after a few weeks visit, and craving to return to the Wu Dang mountain monastery and his lifelong teacher Monk Wao. Martial arts expert is thrust into a situation that will test his incredible skills to the utmost…. and his capacity for love.